IGP:Distribution Manager allows publishers to store, manage and deliver e-books to a range of digital content (e-book) distribution channels including: online-retailers, digital wholesalers, print on demand vendors, and search engines. ONIX, plus formatted CSV and Spreadsheets (XLS and ODS) plus your format files of course. ePubs, Mobi files and PDFs for automatically optimized distribution events. to an FTP location can be automatically ingested, validated and made ready for distribution. Updates can be made at any time. The information is automatically resent to the channels. Many publishers possibly don't have an ONIX database system. That's OK. IGP:Distribution Manager accepts pre-formatted spreadsheets and creates the ONIX for you on the fly as you upload your content. From an ONIX upload or Publisher spreadsheet, IGP:Distribution Manager automatically creates the full archive environment ready for any file uploads or updates. E-book distribution consists of sending a package containing e-book files, covers, and ONIX metadata to each distribution channel you have selected to carry your digital book products. 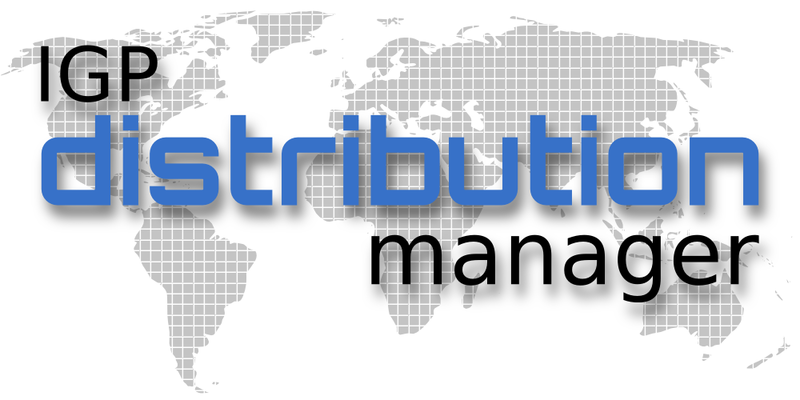 IGP:Distribution Manager is designed for digital file distribution and addresses new and emerging complexity issues specifically related to digital e-book distribution. Traditionally publishers send print editions of their books to a distribution agent for physical shipping to main street bookstores, or to a customer via courier after an online transaction. Now there are multiple e-book formats that need to be delivered to multiple organizations who are in the business of selling digital formats for use in a range of proprietary digital devices. This situation is a business nightmare. There is wide range of book submission systems operated by a wide range of aggregators, distributors and fulfilment agents. Publishers have to navigate through the aggregator, distributor and e-retailer labyrinths to get their e-books to the optimal set of e-book sales channels for their genres. In nearly all cases, publishers are required to contact the various sites for more information on information exchange protocols and methods. In many cases this information is vague, difficult to obtain, not well documented and there are few test sandbox systems. What little submission automation there is, is generally backed up with manual checks and balances. IGP:Distribution Manager removes the confusion, cost and complexity of e-book distribution. IGP:Distribution Manager allows you to distribute to the following aggregators, e-retailers and print on demand vendors. We address the world! IGP:Distribution Manager has pre-configured packagers and protocols for all major aggregators, retailers and search engines. You create a distribution collection for each required distribution channel. You create a master collection of your e-book files and upload your ONIX metadata, ePub, mobi (Kindle), cover images and Print on Demand (POD) covers and interiors. Whenever a complete set of package components is available the system computes that a distribution event can occur. You can set distribution events by channel and book to Auto, Manual or Embargo. The system polls all files on an pre-set schedule (usually daily, but can be set to any granularity). When files are a complete distributable package, they are assembled into the correct account package format, the ONIX metadata is updated for the specific distribution event and pricing adjusted to match the distribution channel and region rights. The files are delivered to the distribution account using their protocol, and audit information written. Full reports on distribution events are available. IGP:Distribution Manager User Manuals are maintained and available online. Visit this documents to understand how it works and what it can do for you. Click on these links to learn more about setting up and using IGP:Distribution Manager. Large and small publishers are using IGP:Distribution Manager to distribute books to retailers and aggregators around the world. For more information on how to get started with IGP:Distribution Manager, or if you have any questions, contact us at sales at infogridpacific dot com.